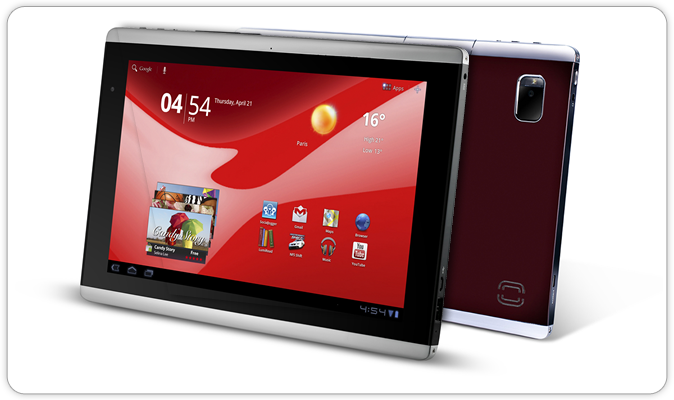 On one side, a vibrant 10.1” HD display that brings photos, movies and games to life. 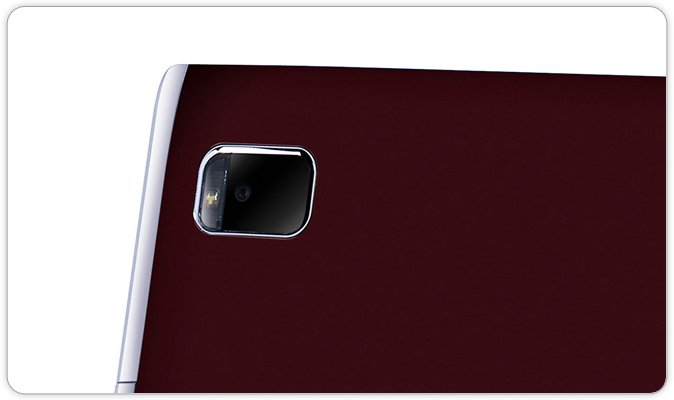 On the other, a stylish Burgundy red cover that turns heads. Whichever way you look at it, the PB Liberty Tab is a feast for the eyes. Want to watch the movie you downloaded on a bigger screen? You can with HDMI®. How about accessing your library of movies, music and more? 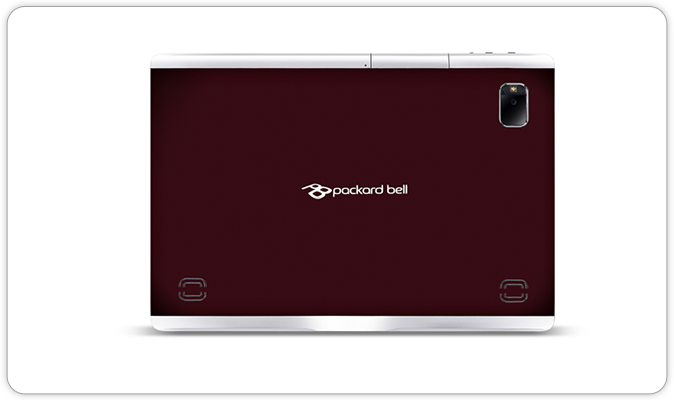 Just plug in extra storage via the microSD card slot. There are Bluetooth® and USB ports too for connectivity – and with built-in GPS, you always know where you are. Touch the screen and it responds instantly. Play the three preloaded games – or one of your own – and it senses your every move. The brightness even adjusts – so you get great visuals whether you’re on a sunlit cafe terrace, or the night bus. And with a ten hour battery life, it just keeps going. Catch up over video call with the 2MP camera. 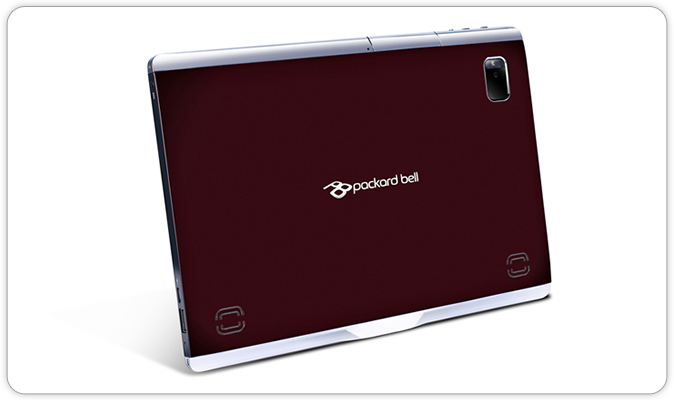 Take HD quality pictures or video with the 5MP camera, then connect instantly to Facebook®, Twitter, YouTube or Gmail and share your creation. 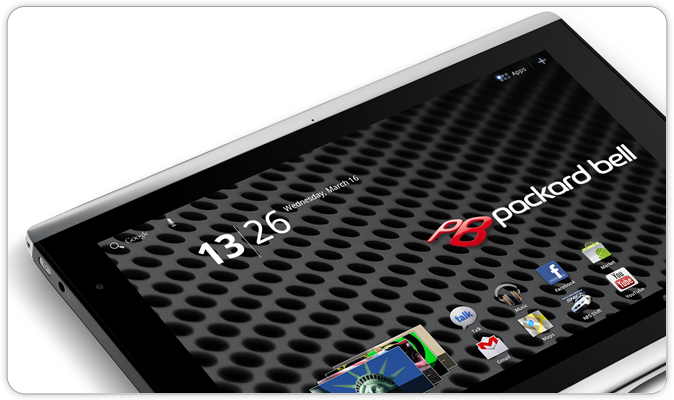 With PB Liberty Tab it’s easy to stay in touch, wherever you are. 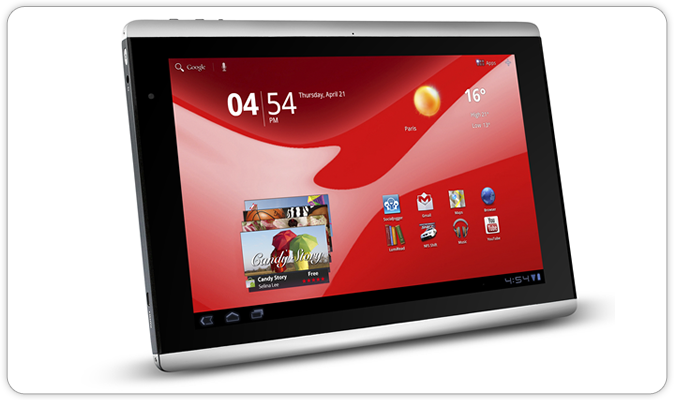 Equipped with Android 3.0 Honeycomb, you’ve thousands of free apps and games to explore. So go ahead – its powerful NVIDIA® Tegra dual core processor means you can move from app to app as easily as a knife in soft butter. And with Dolby® Mobile, you’ll enjoy surround sound quality wherever you are. Listen to the radio over breakfast, read an e-book on the train, message a friend, look up cinema listings, listen to music... all the content you’ll need is there, the rest is up to you. And if you want to accessorise you can, with keyboards, car adaptors, monitors and more – all as stylish as your PB Liberty Tab. The PB Liberty Sleeve is specially designed to protect your PB Liberty Tab. Slim and soft, the sleeve is made of durable neoprene material to keep your PB Liberty Tab clean and scratch-free, whether you're at home or on the move. The PB Flex Pouch safeguards your PB Liberty Tab from dust, dirt and scratches. The innovative foldable design allows the pouch to be converted into a stand for propping up the PB Liberty Tab, so you can watch your favorite movies and surf the net comfortably. The ergonomically designed PB Docking Station offers two comfortable tilt angles to optimize your views for surfing, typing and enjoying your favorite digital media. It also works as a charging station; comes with a remote control; and features a jack for connecting an external speaker. The AC Adapter Traveler Pack is the perfect solution for any globetrotter. The wall-mount design makes it lighter than typical adapters, while interchangeable AC converters ensure you'll have the right plug wherever you go. The sleek PB Executive Case protects your PB Liberty Tab and easily transforms into a stand for more enjoyable movie watching, net surfing, and video chatting. 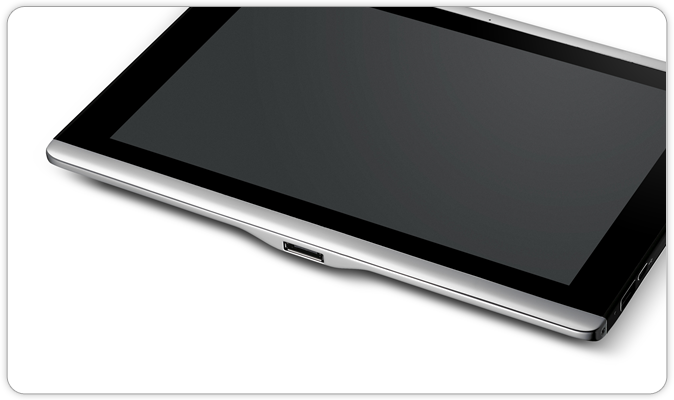 This smart case also lets you adjust the viewing position of your PB Liberty Tab for comfortable onscreen typing. Use the PB Car Charger to charge your PB Liberty Tab when you're driving or when there's no electrical outlet available. It's perfect for long trips and holidays. The HDMI® Micro Cable connects your PB Liberty Tab to big displays like an HDTV or projector for viewing movies and videos in amazing Full HD.